*This is included in the Social Events Package, which can be purchased on MyMUN. Inspired by the iconic Movida Madrileña, a sociocultural counter movement that took place during Spain’s democratic transition after Francisco Franco’s 40-year long dictatorship, the second social event will be the most eccentric, secretive and uninhibited of all. La Movida represents the power of youth as the leading force of modernization and change in society as well as complete freedom in the experimentation of the arts and music, in the form of living and loving and of building one’s identity. During that time, Madrid became the European city that never sleeps, its streets were filled with new age punks, mods, goths and young people looking for fresh air. And although that time has now become part of the recent history of Spain it has left an everlasting legacy to our pop culture, cinema, music and nightlife. 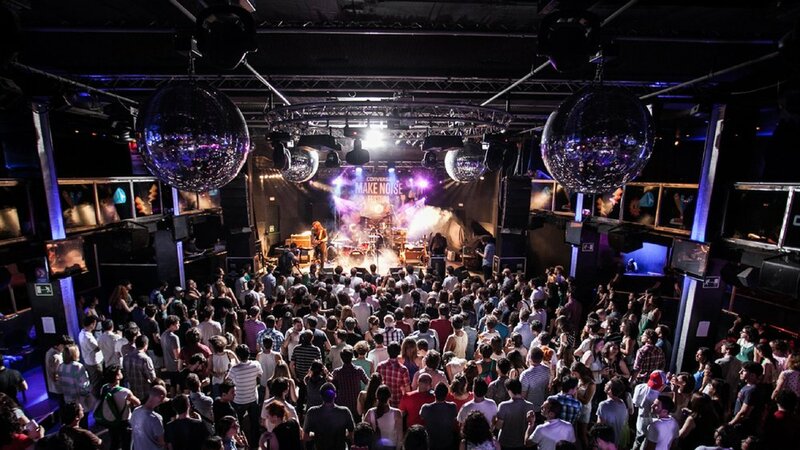 Sala But, or But Club, is one of the most important underground clubs in Madrid and serves also as one of the most iconic and influential concert halls for independent rock, electronic and underground music in the whole of Spain. Founded in the 1970’s, But Club has hosted a variety of high-profile events in each decade, and is now home to some of the best music of the capital. With two floors, the upper one dropping into the main dance floor, is the perfect place to get to know the Noche Madrileña.